Outsourcing the architectural woodwork shop drawings can either be super beneficial or the worst nightmare for your millwork projects, however, it is entirely based on the skill level of your outsourcing team. Each millwork project you work upon would vary from the last project or the next one. Before embarking on the fabrication, a project manager would need the woodwork shop drawings to guide the entire process of manufacturing and assembling. What Is Woodwork Shop Drawing? A woodwork shop drawing or a set of shop drawings are mandatory for the smooth flow of the millwork construction process of an ongoing project. Furthermore, apart from featuring the exact spacing and location, the woodwork shop drawings are quite detailed construction documents for the manufacturing of the woodwork. These drawings are the guided manual with the exact dimensions, the material type, and the installation process. When Should a Woodwork Shop Drawing be Created? The stakeholders and project managers should insist on the drawings as soon as the initial design development and materials are finalized. Woodwork shop drawings are the assembled manual keeping everyone, the designer, the contractor, the manufacturer, and the project manager, on the same page. However, the debate starts among higher management in the millwork companies when they want to decide whether or not to develop the woodwork shop drawings in-house or outsource it to the millwork drafting and drawing service provider. These companies always want their designers and architects, if hired a team on rolls, to design the perfect quality millwork project drawings within the specified time frame. But the challenge arises when many of the residential and commercial projects emphasize on the tailor-made interior designs where pre-fabricated cabinet or woodwork is not as per the design demands, then the only solution remains is outsourcing the millwork shop drawing services. This helps in creating woodwork as per the modern custom interior designing standards. Besides the creativity, outsourcing woodwork shop drawings bring in the multiple benefits to the entire millwork project as well as to the architects, designers, contractors, manufacturer or the architectural construction company. 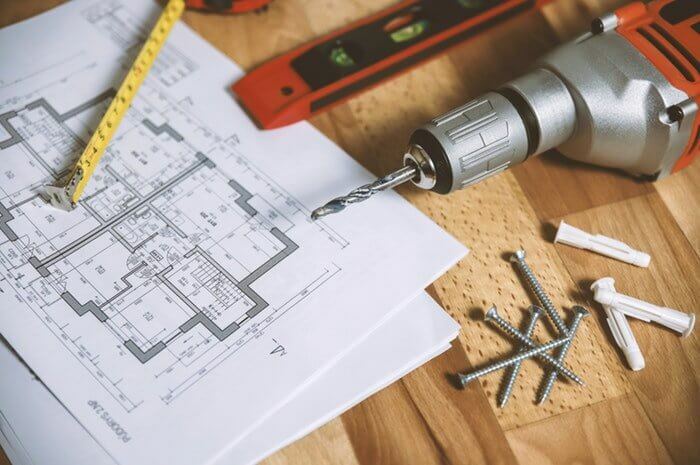 Outsourcing shop drawings accord the freedom of choosing the right team who is specifically trained and experienced in the woodworking shop plans and have been working in the millwork industry. This leverage the stakeholder to become completely comfortable with the decision of outsourcing. These well-experienced drafters and designers understand the expectations of the architects and coordinate a complete manufacturing manual of the shop drawings for craftsman furniture. Cabinet shop drawings can be easily re-worked as outsourcing companies give you the liberty and access to the pool of talent with the low cost. Companies do not have to compromise on the quality of art and perfection as they can avail project based experienced industry professionals. This proves to be a salient advantage of outsourcing your millwork project as it is a huge factor in cutting short your budget on the manpower and material of the project. When companies decide to lead a project in-house, they have to permanently hire an experienced team which becomes the huge add-on cost to the overall budget. Outsourcing solves this issue, you can hire a right team, without compromising on the quality, project wise and you don’t have to pay a penny when there isn’t any work. This also encourages stakeholders to utilize their work hours on the operational strategies and concept defining rather than worrying about the shop drawings intricacies. Outsourcing gives you the specific team working on your project within the deadline. The vendor feels responsible for the quality and time-bound situation of the work. A stakeholder would share the specifications and standards of the project with the outsourcing team and the outsourcing service provider would take on the complete project and work thoroughly and return the woodwork shop drawings with the intricate detailing, drawing, and corrections if required. Another explicable quality of outsourcing is that this set up has a productive result with the quality drawings in the shortest span of time. You receive accurate results even in a tight schedule with the outsourcing partner. You get your revenue turnaround even without the in-house team of designers and drafters. When you outsource the millwork projects, you are accessing to the team of drafters and designers who have rigorously been working with a huge range of millwork services. Whether the project is on cabinet shop drawings, casework shop drawings, kitchen cabinet shop drawings, commercial cabinets, furniture or fixtures. The team would have an exposure and adherence to the architectural woodworking standards (AWS) which provides a minimum idea to the design, concept, fabrication, finish and the installation process of the architectural woodwork. As outsourcing service providers work with the variety of clients diversely, you get the team which almost have been trained in all types of millwork drafting and drawing projects, for example, restaurants, hotels, commercial complexes, resorts, casinos, educational institutes, airports etc. You can easily demand the format of your preference such as PDF, JPEG, DWG, TIFF etc. Any advance millwork projects require the proficiency and understanding of the custom-built furniture and interiors, such as windows, stairway, doors, cabinets, and cases, among the professionals who create drafts and drawings like they are the carpenters. These professionals should have a thorough knowledge of the wood cutting machine such as computer numerical control (CNC) machines and the fundamental knowledge of the wood materials. Such minute details are the intricate yet important part of the drawings for guiding the handlers in the fabrication shop. If you find it difficult and expensive to create in-house woodwork shop drawings, outsourcing is the answer for you. BluEntCAD is a millwork company with the exclusive team of highly skilled millwork professionals in North America. Our team of designers and drafters caters to the wide range of customers in the architectural industry. Reach out to us for exploring your custom millwork needs.